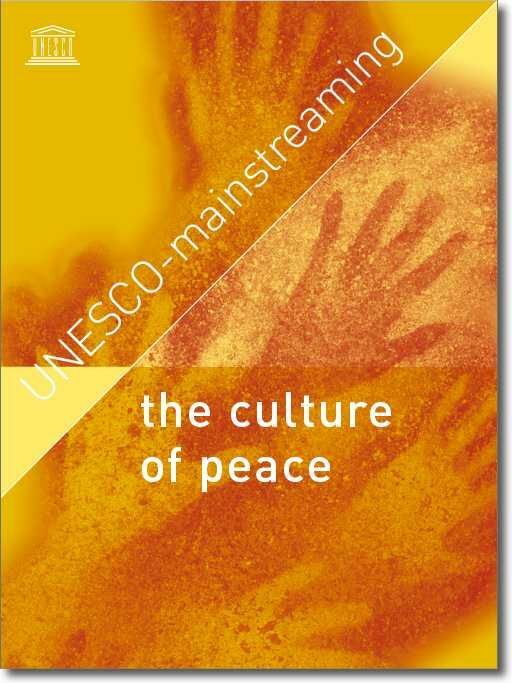 26-page pdf created by UNESCO which “defined the Culture of Peace as consisting of values, attitudes and behaviours that reject violence and endeavour to prevent conflicts by addressing their root causes with a view to solving problems through dialogue and negotiation among individuals, groups and nations. The 1999 United Nations Declaration and Programme of Action on a Culture of Peace (resolution A/53/243) called gor everyone â€“ governments, civil dociety, the media, parents, teachers, politicians, scientists, artists, NGOs and the entire United Nations system â€“ to assume responsibility in this respect. It staked out eight action areas for actors at national, regional and international levels:” Those 8 action areas are: Fostering a culture of peace through education; Promoting sustainable economic and social development; Promoting respect for all human rights; Ensuring equality between women and men; Fostering democratic participation; Advancing understanding, tolerance and solidarity; Supporting participatory communication and the free flow of information and knowledge and Promoting international peace and security.